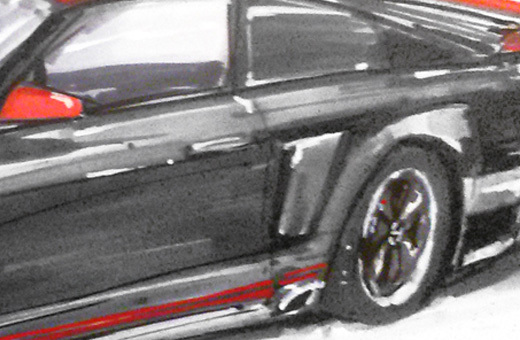 Johnathan is an 18-year-old Mustang enthusiast from Michigan with a life-threatening illness. Through the Make-A-Wish program, Johnathan’s wish was to have his 2000 V6 transformed into his dream Mustang by the AmericanMuscle team. 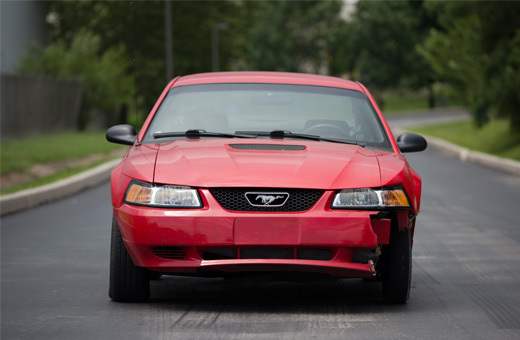 Johnathan’s Mustang arrived at AmericanMuscle damaged beyond repair. 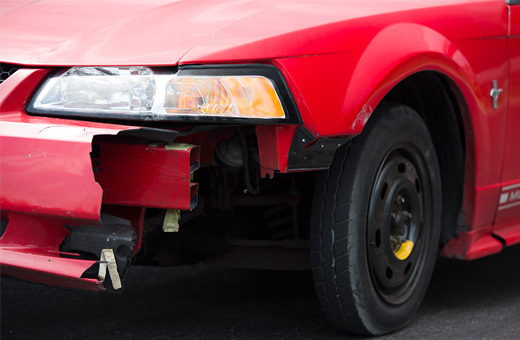 Unfortunately, frame and body damage kept Jonathan’s 2000 V6 Mustang from being a reliable car for him once completed. 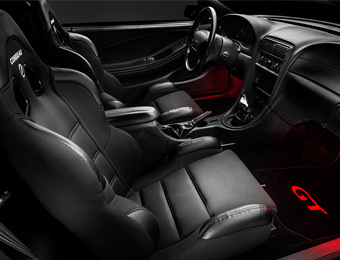 Without hesitation, AmericanMuscle stepped in and sourced Johnathan a clean 2001 Mustang GT to keep his wish alive and build into his dream New Edge Mustang. 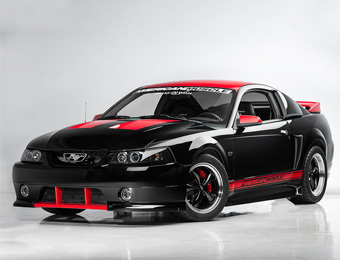 His vision: a 1999-2004 generation Mustang styled like a Boss 302 Laguna Seca. 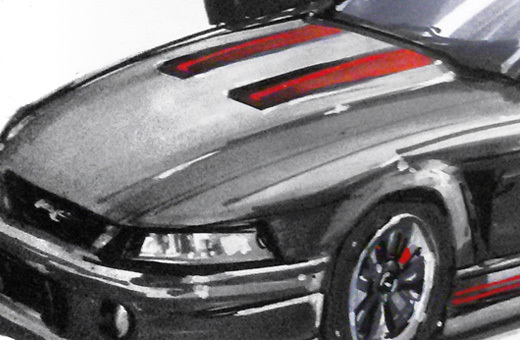 A 1999-2004 Mustang styled like a Boss 302 Laguna Seca was a unique and exciting idea and the team at AmericanMuscle quickly got to work sketching Johnathan’s vision of his dream Mustang. 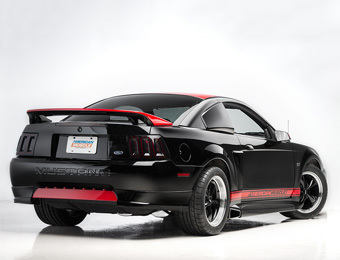 Taking on the black and red styling from the Laguna Seca and building in Roush side-exit exhaust, an SVT Cobra style hood, Bullitt wheels and MMD styling components, his dream New Edge Mustang started to take form. With a little over two weeks to turn his wish into reality, the AmericanMuscle crew got working on Johnathan’s Mustang.